What’s The Sales Strategy And How Much Is A 2017 Super Bowl Ad On Spanish-Language TV? As written by Veronica Villafañe on Forbes.com. The Super Bowl, which has seen a rise in Hispanic viewership, has also translated into dollars in the Spanish-language market, as networks and advertisers invest with the hopes of raking in long-term results. For the fourth year in a row, the Super Bowl – and specially targeted commercials – will also be telecast on a Spanish-language network. Fox Deportes cable network will carry the Super Bowl again just as it did in 2014, but this year, ad sales for the event are handled differently. Previously, Fox Deportes had its own dedicated sales force for Hispanic television. But now the Fox sales group has taken over the role. “This has been huge advantage for us. Now we can package things together for Spanish and English and the Super Bowl spots were sold as a package for both networks,” explains Carlos Sánchez, evp and general manager for Fox Deportes. But there is a huge difference between rates in English vs. Spanish. While a 30 second Super Bowl spot is going for as much as $5,000,000 on Fox, advertisers will pay just $250,000 for the same length spot on Fox Deportes, according to advertising agency López Negrete. According to Sánchez, about 70% of the Fox Deportes audience is bilingual so the English-language ads will be well received, because they’ll get to to see the ads everyone will be talking about. But how does airing the majority of the Super Bowl commercials fit in to the long-standing argument by multicultural agencies that ads targeting the Spanish-language community should be culturally and language sensitive? “Latino NFL fans have a tendency to be bicultural, and as such, bilingual. While it would not be entirely wrong to message to them in English, it must be done in a relevant fashion, taking into account the context. After all, they’re being broadcast…on a Spanish network,” says Alex López Negrete, CEO of López Negrete Communications. López Negrete points out “the bicultural dynamic is far more complex than a simple English/Spanish decision. Fox Deportes would not provide the list of its advertisers prior to the Super Bowl, saying those companies preferred to do their own announcements. 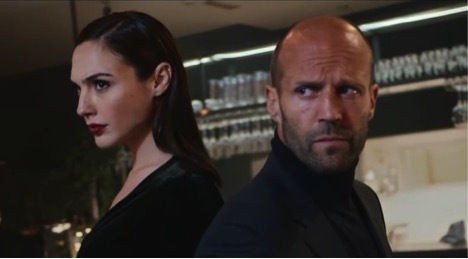 But website builder Wix.com, which released its Jason Statham – Gal Gadot action-packed Super Bowl spot in January, and Bud Light are among the advertisers who have already confirmed Spanish-language TV buys.